GMGC – Kunshan is the largest and most influential B2B convention for mobile game developers. Since 2012, GMGC has been committed to provide a global platform to connect mobile game developers to regional and international channels, promoting collaboration across cultural boundaries, and creating lasting partnerships for growth and investment. Hear from the industry’s top minds at main stages; meet other like-minded professionals and developers at the VIP Welcome Dinner and Official party. 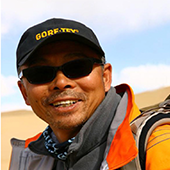 Atsuo Nakayama, COO of SEA, Bushiroad Inc. 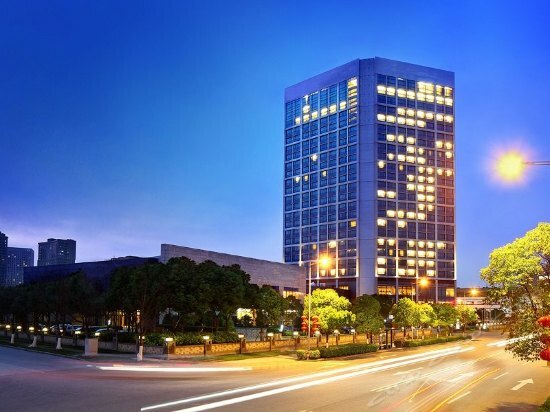 Discounted rates have been negotiated for GMGC - Kunshan Shanghai attendees at the Grand Metropark Hotel Kunshan. If you're keen, please reserve your accommodation early by clicking the link. 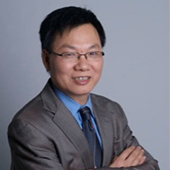 Mr. Ben Zhang is the master of Engineering Management of New Jersey Institute of Technology and the postgraduate of College of Economics & Management, Beijing University of Technology. 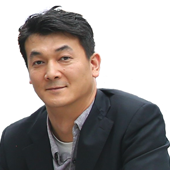 Founder and CEO of 247 Technology, he has 13 years of marketing experiences in international companies, including 6 years of working experiences in data advertising platform and 3 years in advertising platform. He once worked in Office Depot, Tom.com, O&M, GroupM, and Madhouse and has rich brand marketing ideas and excellent product design background. Mr. Xu graduated from Tsinghua University Bachelor degree in automation and Master degree in precision instruments, and also got Master of Business Administration degree from CUHK. He has more than 20 years experiences in Game and Internet industry, 7 years experiences with startups , 12 years investment experiences and 11years experiences in top management of listed companies. 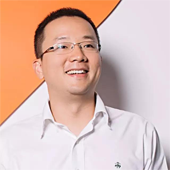 Mr. Xu served as strategic investment director in Giant Interactive Group, Asian outsourcing manager in EA, Game Director of RealNetworks China Region and game supervisor in SOHU. Meanwhile, He served concurrently as senior consultant expert of GLG. Besides, He’s also one of founding members of AAMA Angel Investment Club and one of the founding shareholders of 3WCoffee. 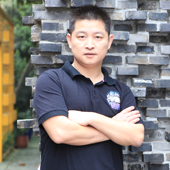 From 2003 to 2005, He served as game supervisor in SOHU, who participated in mergers and acquisitions of the game portal 17173, Licensed-in and operated of projects, like The Sword, and assisted to create the core MMO R&D team of SOHU. (The team successfully developed Dragon Oath and spin-off listing in 2008, named ChangYou. NASDAQ: CYOU) Since 2010, Mr.Xu has been joining Perfect World, taking charge of strategic investment and business development. He personally led to explore web games, social games, mobile games and TV games, as well as game media. Besides, he also led to develop and operate The Condor Heroes which became the most successful case of the company oriented towards PC online games developed mobile games. He also plan and host PWIN, as well as completed a series of multinational investments in acquisitions, including Torchlight team by Runic Games, Neverwinter by Cryptic, Double Damage, Atom Jack, Art&Craft and TGBus which is a big game media and wholly-owned subsidiary of Perfect World through mergers and acquisitions. He has joined Qihoo from Sep 2015 and has taken charge of all game lines. Frank Sliwka is the CEO of International Business Media Pte Ltd, a Game Publisher and Global Management Consulting Company with its Headquarters in Singapore and its European Subsidiary in Berlin, Germany. Clients of International Business Media are Akamai, gamescom, GDC, Koelnmesse, MDeC, Perfect World, United Business Media and others. Frank Sliwka has experience across the Asia Pacific region and territories in Europe and USA with a proven track record of successfully building and growing businesses in mature and emerging markets. Frank Sliwka is the founder of several companies, associations and international B2B conferences, like Global Games Media Ltd., International Business Media Pte. Ltd., Insidegamesasia.biz, International eSports Federation (IeSF), German eSports Association (ESB), GC Game Developers Conference, GDC Europe and ESCONF (International eSports Conference) . 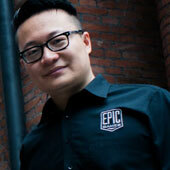 Wu Hao, General Manager (Marketing and Corporate Dev) of Epic Games China, with over 14 years of working experience in the industry, has been in charge of the Unreal Engine licensing business in Greater China and Southeast Asia since the era of Unreal Engine 2 and Unreal Engine 3. As the leader of engine licensing, technical support and community service teams of Epic Games China, Mr. Wu is bringing the ever-improving Unreal Engine to the growing content development teams in China. So far, Epic Games has signed commercial licensing agreements with over 100 companies in Greater China and Southeast Asia, and more than 40 Unreal Engine-based games were launched in this region. Since the free-to-use announcement of Unreal Engine 4, more and more small and medium-sized development teams are trying to create contents with Unreal Engine. Unreal Engine communities thrive nowadays, and the application of this technology can be found in diversified areas, such as traditional PC games, mobile games, console games, VR contents, animated movies, and architectural visualization. Particularly, the Unreal Engine is the first choice for most visualization and VR development teams. Pascal LUBAN is a freelance creative director and game designer. He lives in Paris. Working as game designer since 1995, he has been commissioned by major studios and publishers including Activision, SCEE, Ubisoft and DICE. In particular, he was lead level designer on the ́versus ́ multiplayer versions of both Splinter Cell - Pandora Tomorrow and Chaos Theory, lead game designer on Alone In The Dark - The New Nightmare and creative director on Wanted – Weapons of Fate. Leveraging his design experience on consoles, Pascal works on mobile games (Wars & Battles, Hockey Legends, Tropical Wars). His mobile game, The One Hope, published by Gmedia, received the Best In Gaming award at the 2009 Digital Media Awards of Dublin. 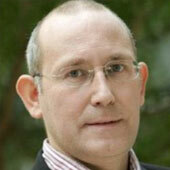 Pascal is design consultant for the Kainuu Gaming Cluster in Finland and gives master classes in Europe. He is a regular contributor to gamasutra.com. 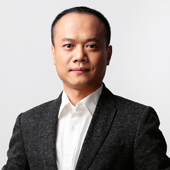 Leon Zhang, Chief Strategy Officer, DeePoon,in charge of DeePoon’s ecosystem strategy and collaborations. 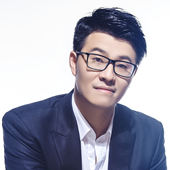 Before join DeePoon, Leon was Head of APAC Ecosystem of ARM, and led the ecosystem team to shape the leadership ecosystem of Mali GPU, the areas including mobile gaming, smart home, computer vision, AI and AR/VR. Mali GPU has become the No.1 mobile GPU in the world. Before ARM, Leon was the core developer of the 1st generation of Google TV, and one of the earliest promoter and evangelist for Android for Home as well. 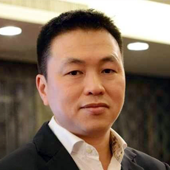 Hao Cheng Fu, the founder and CEO of Tops Game, used to study in Nanjing PLA institute of international relations, Nanjing University, Nanjing University of Science & Technology (EMBA). 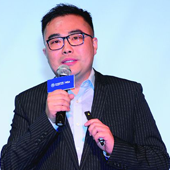 He is a young entrepreneur who used to be the CEO of Jin Wei Ning Group, the chairman of Nanjing Cultural Venture Capital Fund and has invested in many projects within the film and game industry and He has a deep passion on game industry. Tops Game was founded in 2013 and under Hao Cheng Fu’s leading and the joint efforts of the company’s management team, in just two years’ time, Tops game has become the most powerful game developing and distributing company in Nanjing. 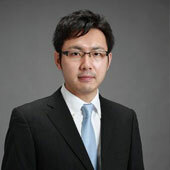 Ming Zhu，CEO，MorningTec Shanghai MorningTec Information Technologies Ltd. is established in 2013. MorningTec is an emerging technology company who focus on mobile entertainment contents development and operation. We are keen to bring innovated experience to end users by cutting edge technology. MorningTec\'s own products are now including: Stella SDK, one of the only three cross-platform development kits in the world; Hoono Browser, which can be fully compatible to dynamic Native APP and optimized to HTML web APPs; dozens of fantastic iOS and Android games. MorningTec\'s Star Games: \"Monster Shooter2: Back to Earth\", \"League of Heroes\", \"Mad Dragon\", etc. MorningTec\'s core competitivenesses are: innovated technology (Hoono & Stella SDK); wide coverage of content distribution; capability of BD and operation; and global vision. 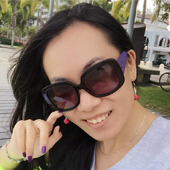 Zhu is a skilled serial entrepreneur, with ten years’ working experience in Wireless Internet. 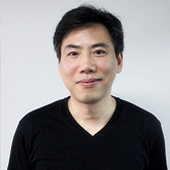 He has years of experience in Telecom value-added service (SP), interactive TV game, and leisure web games. 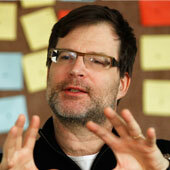 He is familiar with the Internet, multimedia, animation, games, wireless value-added services and many other fields. He has a deeper knowledge of Industrial structure, policy risk, technology development, business process and market extension. He is quite familiar with every process of operation and is rich in practical experience. Aurelien Palasse is in charge of the overall publishing activities in Greater China for Ubisoft mobile. This includes business, marketing and operation as well as the “culturalization” of the games. The mobile catalogue of the company includes iconic franchises such as Rayman, Might & Magic, Assassin’s Creed, Prince of Persia, CSI or the Raving Rabbids. Aurelien has more than 15 years of entrepreneurial experience in the game industry starting on retail. Before joining Ubisoft he was in Zurich (Switzerland) developing Inno-Wear, the first European video game merchandising company to provide licensing services for many industry leader such as Microsoft, Nintendo, Activision, Bioware, Capcom, Eidos, and Blizzard. Ubisoft is a leading producer, publisher, and distributor of interactive entertainment products worldwide and has grown considerably through a strong and diversified lineup of products and partnerships. With a development force in 26 countries, and a sales force in more than 55 countries worldwide, Ubisoft is committed to delivering high-quality, cutting-edge video game titles to consumers. 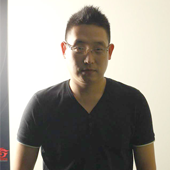 Dylan Su is the COO of iDreamSky, responsible for game operation/ channel operation and marketing work. 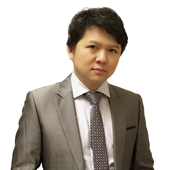 He has more than 12 years of experience in internet-product development and operating experience. 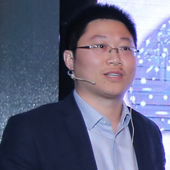 Prior to joining iDreamSky, Dylan served as the core technology management position in Huawei, in charging of optical network development.Before Huawei, Dylan worked in Tencent, serving as the core technology’s operation and management position for QQ-Zone.Dylan also served as the chief technology officer in Shenzhen Donghai Airlines. Dylan graduated from the Northwestern Polytechnical University, and got a bachelor degree of mechanical and Electronic Engineering. 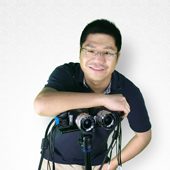 He has 2 Internet and IPTV image processing and display of the national invention patent. 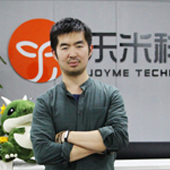 James Jin is the CEO of Sayga Game. He has worked in the IT, wireless communication and game industry for more than 10 years. He founded many companies, served as the General Manager and Chairman of the board. Among the companies, the performance of the game company reaches the forefront of the domestic industry. 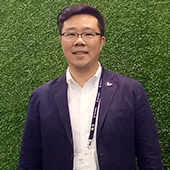 James has been to the United States, Japan, Korea and other countries to participate in the mobile games exchanges; therefore, he has a deep understanding of the mobile game industry. With keen business acumen, he has a wealth of experience on the company integration, project investment and team management. 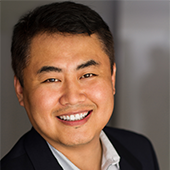 James holds a Master degree in Business Administration from Sun Yat-Sen University. 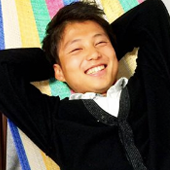 He enjoys golfing and tai chi. 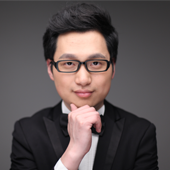 As CSO of 3Glasses, Wei Huang is responsible for business growth strategy implementation. 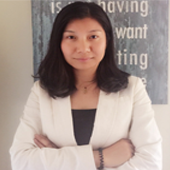 Wei has proven skills of business developing with nearly 2 decades experience. 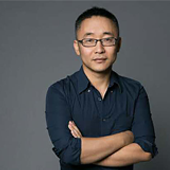 Prior to joining 3Glasses, Wei Huang worked for several world-renowned digital entertainment companies such as EA, Microsoft XBOX and successfully branched out their business into China. Chen Yichao, plays multi-Chairman concurrently CEO.Graduates in the Zhejiang University, once was appointed Uygur subculture founder concurrently CEO, exuded city science and technology vice-President, once attained the Chinese network to play ten big new sharp characters, the Chinese homepage plays ten big men of the hour, China plans teacher 50 outstandingly strongly and so on the titles. As the domestic leading multi-terminal handset game media, the game integrated including the game information, the game has downloaded, plays the family welfare, the game video frequency, plays functions and so on family community.At present plays includes youxiduo.com, ios as well as peaceful outstanding app, the motion end single product volume of users domestic places first, is in Chinese top500 strong app the only hand swims the media class product. 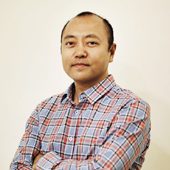 Co-CEO of IDEALENS, secretary-general of Virtual reality and Artificial Intelligence Research Institute, China Industry Development Research Center of Tsinghua University. 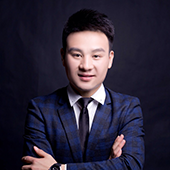 Mr. Liu has graduated from Zhongnan University of Economics and Tsinghua University, with a bachelor\'s degree in economics and master’s degree in business administration, has engaged in television media, investment banking, Internet and other industries, had published “Just build the brand this way”. 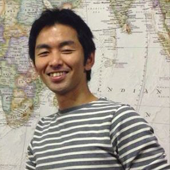 Atsuo Nakayama, COO of Bushiroad Singapore, handles mobile game publishing of Japanese IPs into Asian Market backed by his 5 years-length mobile career as a Marketer of DeNA, a Tech/Media industry consultant of Deloitte, and previously the Studio head/General Manager of Bandai Namco Studios Vancouver/Singapore. Bushiroad, founded in 2007, is new venture in Japanese Entertainment Business scene based on TCG, “Vanguard”, Mobile, “LoveLive! School Idle Festival” and ”Crayon Shinchan”, and Sports, “Shin Japan Pro-wrestling”. Bridging the Japanese Manga/Anime characters’ potential to Asian growing consumers will be his next big targeting mission. 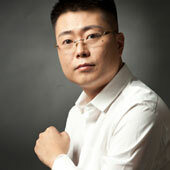 Wei is currently the China Country Manager of AppsFlyer. He enjoys working closely with clients on technology, product and business, especially on translating the feedback from clients into product innovations. In the past, he worked for Nokia Research Center and Adwo as Senior Researcher and Director of Overseas Business, respectively. He holds a PhD from UC Davis in Computer Science. Sun,Dahu. Vice-president of Snail, Director of the Empire Stutio of Snail. 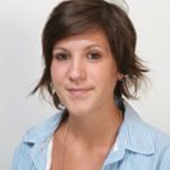 Well experienced in Advertising, IT and Internet industry. Established a long-term study in the field of User Experience. Person chiefly in charge of IP licensing related business. Hong Kong Baptist University, MBA Peking University, M.SE EEGSmart Co. Ltd. CEO Now A former thundersoft Shenzhen branch, GM Samsung LSI AP department core developer 16 patents involving EEG signal processing algorithm analysis, AI,AR and VR field. 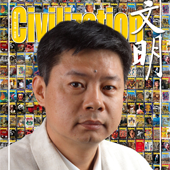 CEO of Nanjing RuiYue (Nibiru) Technology. Once served in Samsung Electronics (China), Philips, STEricsson and other Multi-National Corporations as researcher, sales manager, and sales director. Have more than 10 years experience of mobile internet terminals. Now is leading Nibiru to become the top-level VR technology and operation service provider. Nibiru focus on mobile VR/AR, and has built an all-round ecosystem involving content, hardware, and peripheral with VR/AR OS and Launcher as representative products and self-developed Nibiru SDK system as key technology. Nibiru has offices in Nanjing Shanghai, Shenzhen, Beijing and the United States and is moving forward in the internationalization process. I was born and grew up in Kyoto. 4 year sales experience and 5 year management experience. I founded Nobollel at the age of 26 in 2013. Some apps were featured by Googleplay and got top free No.1 on Appstore. 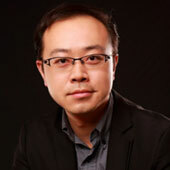 As the Founder and CEO of Firefly Games, the Co-founder and CEO of Mobia Entertainment, also the former CEO of ZQGame Inc. (U.S. Subsidiary) and President (Overseas) of ShenZhen ZQGame (a publicly traded online gaming company with 3000 employees and 30+ studios worldwide), Michael Zhang is a serial entrepreneur in online/mobile gaming, E-commerce and social network businesses with 20 years working (14+ years management) experience. In Jan., 2015, Michael founded Firefly Games Inc., a global publisher and developer of mobile games for iOS and Android with offices in Los Angeles and Shanghai. 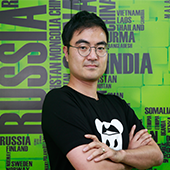 Michael was in charge of global strategies, M&A, game publishing, licensing and operations for all territories outside of China when he worked at ZQGame. In 2008 he co-founded and became the CEO of Ray Flame Entertainment Inc., a MMO-browser/SNS game publisher/developer in Los Angeles. 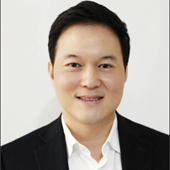 Prior to Ray Flame, Michael was the General Manager of THS International Inc., the world largest MMORPG virtual currency provider. 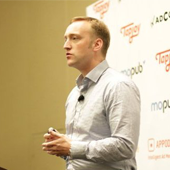 Also he served the U.S. General Manager position of an Online Game Publisher – VestGame Entertainment. Michael received MS of Computer Science in the U.S. and MBA in Korea. Co-Founder, Chief Brand and Marketing Officer of Clusterloop. 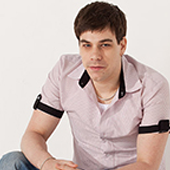 Jonas has a background as a Game Designer, Team Leader and Brand Enhancer. He is a Bilingual game industry professional with experience in the Nordic and Asian markets, their trends and business challenges. He is passionate about team building, making games, brand development, marketing and consumer engagement. 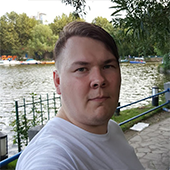 He enjoy's working in a dynamic environment with people passionate about games and gamification as well as willing to put in the hours to create quality entertainment products. Jonas is at GMGC to talk about Gamification so if you have any questions don't hesitate to drop me a question. 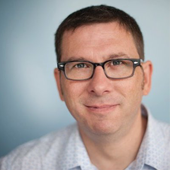 A mobile industry veteran with 15 years of product and business development experience. Previous stints include games and content platform related positions in Nokia and 91.com, and head of product development in a social gaming SDK startup that was successfully acquired by Blackberry. 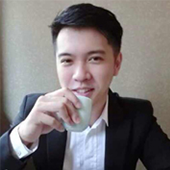 Ben joined Coda last year to help bring Chinese gaming and internet companies to Southeast Asia, to tap into the huge potential of young cardless consumers there through Coda’s various innovative payment options. 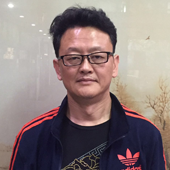 Mr. Hao Wang is the General Manager - Overseas business at Kongzhong. 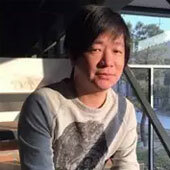 Prior to this, he had worked in Garena, Kingsoft and Youzu, And in several other companies as head of Overseas business. He has extensive knowledge of project management, overseas business & team handling. 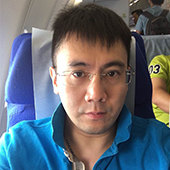 Hao Wang has spent nearly 15 years abroad and has many years of experience in gaming industry; he has in-depth understanding of Chinese & Foreign cultural backgrounds as well as difference in Chinese & Foreign Gaming industry & gamers. His former Army career, has given him a proud identity & persistent personality.